Built as a support vessel by the Amels shipyard in Holland, the 219′ 10″ (67m) GARCON was delivered in September of 2011. GARCON is equipped with every explorer style tender or toy available. With a Bell 365 helicopter, five large tenders ranging in size from 14 meters to 10 meters, a 4 man submarine, a complete custom diving cabin, and numerous jet skis, wave runners and sea bobs, GARCON is truly a uniquely equipped vessel. She boasts a top speed of 25 knots and a transatlantic range. GARCON is a self-supporting ship that can sail any ocean of the world. 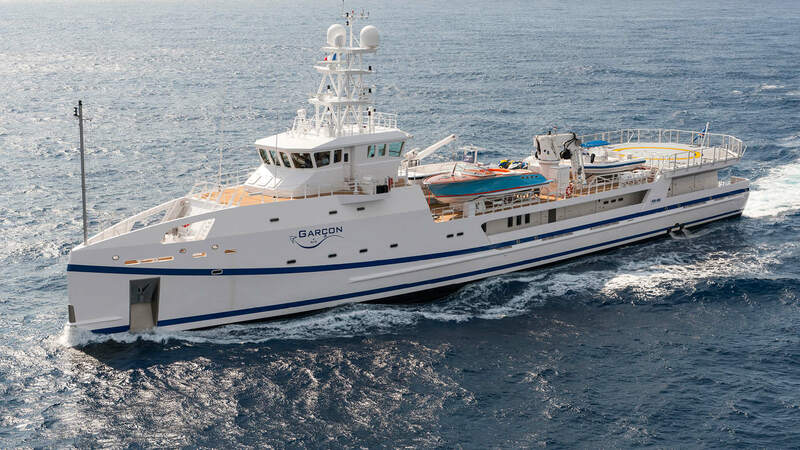 Moran Yacht & Ship negotiated the build contract for GARCON, wrote the technical specifications and managed the entire build process for the vessel. Our team was by the owner’s side from concept well through completion.